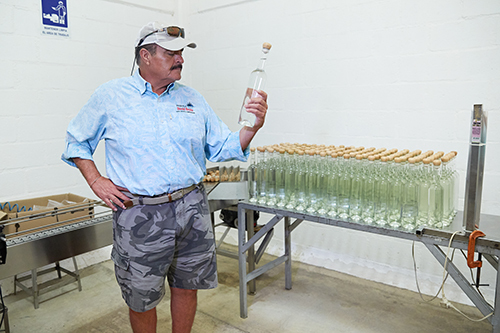 For almost thirty years, as a successful Custom Agave Grower, David Reyes has been hotly pursued by some of the biggest names in Tequila for the size, age, quality and character of his blue weber agave. Tequila David Reyes is the result of traditional agave growing protocols combined with utilizing high-tech laser technology to design the structure of his fields for ultimate drainage during the rainy season. By using natural fertilization and pest control, along with David’s progressive growing techniques, he consistently produces the healthiest and choicest agave piñas with the highest quality sugar content. David Reyes points out, again and again, “The quality of the agave is the key to everything. If you start with excellent agave genetics, the production process will always be excellent. 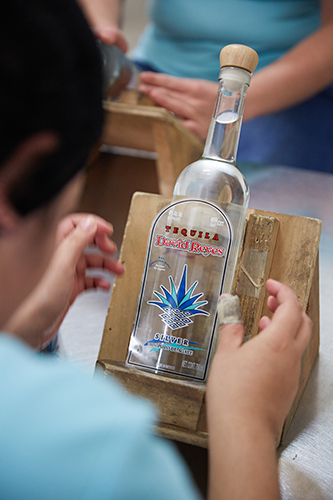 You cannot turn a mediocre agave into great tasting tequila, even if you do everything else perfectly. David has nurtured the same agave genetic since the beginning. “Perfection starts with that Piña and how it was raised,” he declares. David also prides himself for being “green” from the start, even before “green” became a worldwide issue. He has NEVER used any chemicals on his precious plants. Tequila David Reyes is as close to “organic” as it can get. Does Tequila David Reyes use Highlands or Lowlands agave? While there are no official designations for either, every highland has lowlands, and vice versa. In other words, there are varying micro-climates within the region. Tequila David Reyes’ farms are considered to be in the Highlands and Midlands, at approximately 4,000 feet elevation. What plants surround your agaves? Fruit trees, herbs, corn, etc., and more agave fields. All fields have their own irrigation systems and are not part of any other surrounding farms. Isn’t there an agave shortage? What if he runs out by selling to others? When there’s a glut of agave, David Reyes goes against conventional wisdom and plants even more hijuelos (agave pups) confident that within a few years, especially during times of shortages like today, he will again command top dollar for his plants. David Reyes’ agaves are in such high demand—especially in times of shortages—that agave buyers compete for his crops and are willing to pay him handsomely for them. 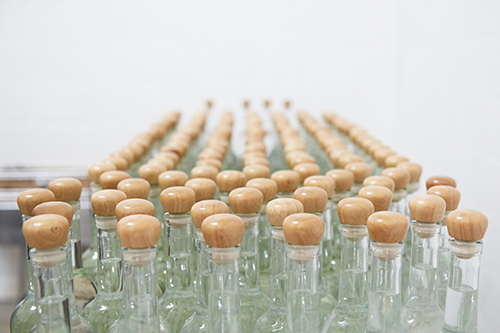 Distilled and bottled at Integradora San Agustin (NOM 1547 and Certified Organic Distillery), where David Reyes, like a master chef, created the formula for his esteemed Private Label Reserve Tequila. Using only his in-demand agave, and with the latest top-notch equipment and technology. 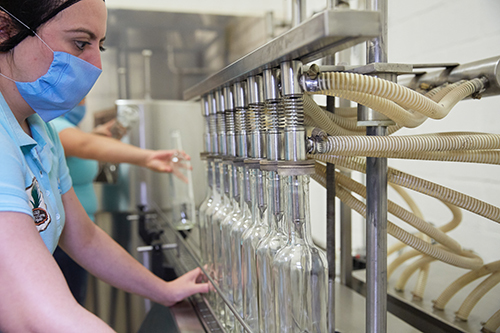 When Tequila David Reyes goes to production, the plant is closed to all others and thoroughly sanitized. David’s distillation filters are used along with his higher power motors for shredding. Once production is completed, the facility is broken down and David’s equipment is swapped out. How is your agave baked? Horno, or autoclave? Tequila David Reyes’ sought-after agaves are slowly oven baked only to bring out the true characteristics of his prized piñas. The ovens are heavily monitored for at least 26 hours. 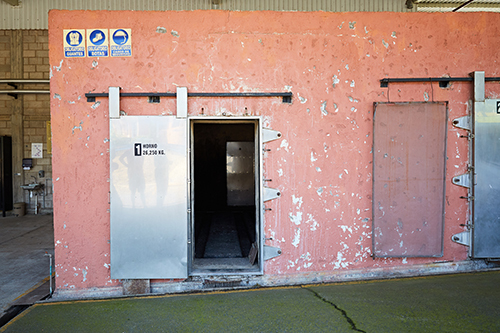 The horno doors are not opened for a day and a half afterwards. This allows the piñas to unhurriedly continue baking, and then, naturally cool off. How is your agave macerated? By shredder or tahona? Not wanting to have anything influence the final flavor and aroma of Tequila David Reyes like a two-ton stone wheel does, the baked piñas are shredded by 5 different diamond bit shredders. In this manner, David achieves 95% extraction from the piñas. David Reyes would never insult you or his sacred agave by cutting corners and using a diffuser as so many of the mass-produced brands do now. How is Tequila David Reyes fermented? In stainless steel or wooden vats? David does not want his precious agave to pick up ANY other traits that wooden vats would bring into the process. 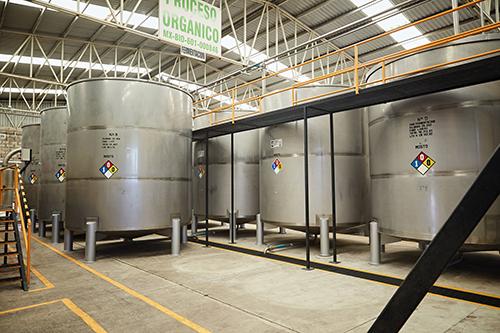 Fermenting in stainless steel vats ensures that his agaves preserve the valued characteristics for which they are known. What type of yeast does Tequila David Reyes use? David Reyes uses proprietary yeast cultivated exclusively from his own select agave. Tequila David Reyes uses only spring water that has been filtered and tested for the highest purity. This same water is used throughout the entire Tequila David Reyes process. How is Tequila David Reyes distilled? Using a high quality copper alambique (still), the double distillation process produces a consistent 142 proof alcohol. The aforementioned spring water is then introduced in order to bottle Tequila David Reyes at 80 proof. How many times is Tequila David Reyes distilled? Tequila David Reyes is distilled 2 times which is the minimum required. In his opinion when you need to triple distill or more you are trying to take out impurities in your tequila, but it also starts to strip out the body and essence of your tequila. Are there any additives to Tequila David Reyes? Although allowed by the CRT (Consejo Regulador del Tequila) the tequila regulator of Mexico, Tequila David Reyes contains no additional sugars, artificial flavor enhancers, or coloring, including aging in wooden barrels. The outcome is the truest tasting tequila in modern times. Are there any aged expressions of Tequila David Reyes? David will not make an anejo or reposado tequila because he believes the Blanco is the best representation of a tequila. Aging in wooden barrels allows for too many factors to affect the taste of Tequila David Reyes. David Reyes stubbornly and meticulously oversees every single facet of his agave growing process, from farm-to-glass. His methods yield a superior, crystal clear Private Label Reserve Blanco Tequila that connoisseurs and collectors alike will lust after, admire and request, again and again.